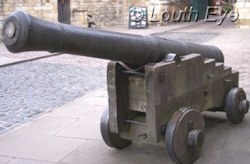 Lincoln Castle is a good place to visit, especially if you have children to entertain. Throughout summer there is a varied programme of events, so if you're planning a trip out to the city it is worth looking these up. There is not something on every day, so it is best to check in advance to ensure you get the best out of your trip. The Norman castle was built in 1068 by William the Conqueror. 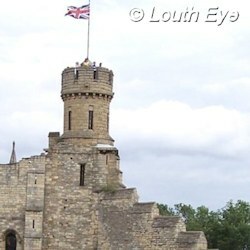 You can walk along the castle ramparts, climb the steps to the Lucy Tower, and climb up to the top of the tower which overlooks the entrance. The latter is best not attempted unless you have a good head for heights, because it means climbing up a spiral staircase which is dizzyingly narrow. Pictured second down on the left is the Crown Court, which is situated within the castle grounds itself. It is still used as a working court. 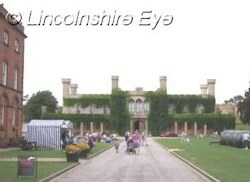 Lincoln Castle has been used as a centre for justice for centuries. The red-brick building was formerly used as a prison, but now it houses one of the few surviving original copies of the Magna Carta (when it is not on tour). This ancient document is considered to be one of the foundations of our modern constitution because of its role in curbing the power of the monarchy. Good luck trying to read it, however, as the old-fashioned script is practically illegible. You can walk through the prison and check out the displays concerning the lives of condemned prisoners. The County Council will not put in place new restrictions on traffic in Louth, in spite of population growth and increasing problems with traffic.